Whether you are running a school, training center, or want to sell an ebook or course, having a website for your educational institution, academy or training center helps you to attract your prospective students. So, in this article, I’ll share some of the best education WordPress themes for preschools, nurseries, academies, training centers, universities, teachers, and other educational institutions. 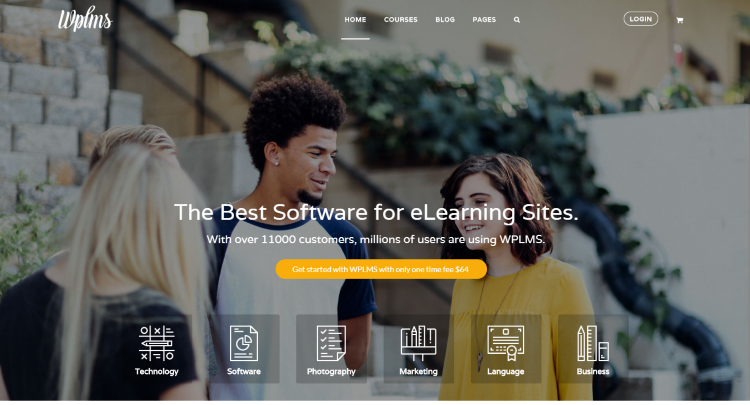 WPLMS is the most popular education and learning management system WordPress theme. It is a complete suite using which you can create your own eLearning academy like Lynda, Udemy or Coursera. It comes with useful features like frontend course creator, course management, user dashboard, and collaboration (with other instructors). You can also create Quizzes & Questions and can award badges & certificates to your students. Education WordPress theme has been developed by ThimPress. It is based on LearnPress – the most popular LMS plugin on WordPress plugin repository. This theme comes with 14+ pre-built demos which you can easily install using the one-click demo installer feature. You can sell courses using WooCommerce and payment methods like PayPal, 2Checkout and Authorize.net. 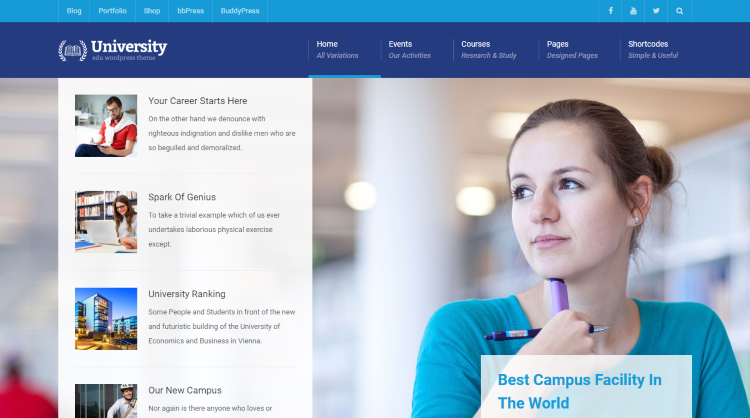 University WordPress theme is perfect for institutions, universities, and training centers. It is compatible with LearnDash, WooCommerce, and bbPress plugins. It comes with features like course enroll & payment, events & tickets selling, built-in calendar, Slider Revolution, translation ready, and much more. LMS WordPress theme comes with wonderful class pages with elements that are necessary for any educational institution. This includes class listing, class timetable, courses listing, registration page, purchase options, and enhanced course single page. You can also create different types of quizzes using the quiz page options. 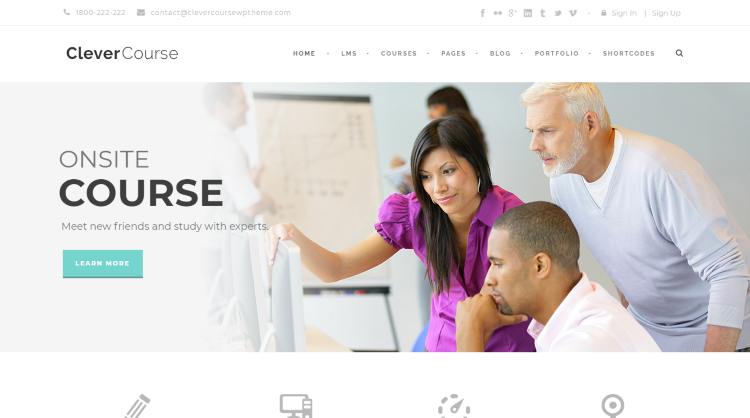 As the name suggests, Clever Course is an LMS WordPress theme and can be used by schools, colleges, and universities. You can use this theme to create online courses for your students. And for that, Clever Course provides some great features like course curriculum, course certificate, badges, course coupons, and much more. You can also allow other instructors to sell courses from your site and set commission rate for them from the backend. Masterstudy is an education WordPress theme which can be used for learning, training, and educational centers. This theme is compatible with WooCommerce plugin. 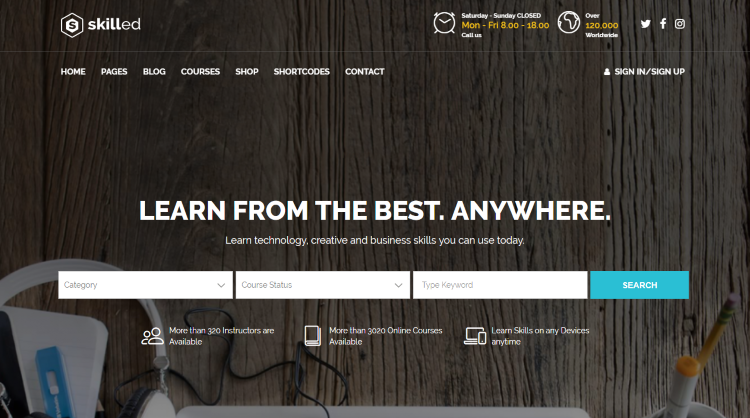 Thus, you can sell courses from your site without any hassle. You can also collect reviews for any of your courses after the students have completed the curriculum. 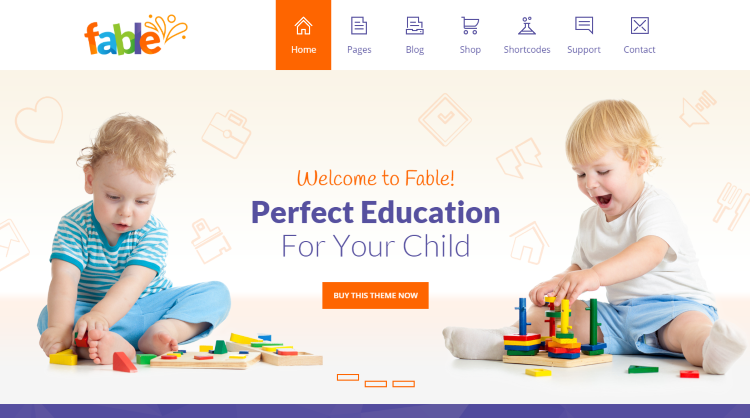 Fable is a perfect WordPress theme for kindergarten, preschool, and nursery educational institutions. It is a cross-browser compatible theme and hence, your website will run beautifully on every web browser. This responsive and retina-ready theme comes bundled with premium plugins like Slider Revolution and timetable schedule. It also includes a drag & drop page builder using which you can easily create stylish pages for your site. 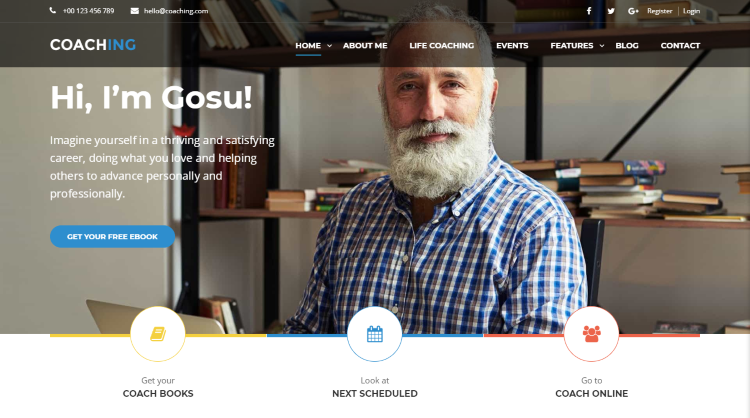 Coaching WP is a multipurpose WordPress theme which can be used by speakers, trainers, and mentors. It comes with 4 homepage demos to choose from. It also offers a drag & drop builder, multiple header layouts, unlimited colors, Google Fonts, and RTL support. You also have the option to use introduction boxes – an elegantly designed card which shows up when someone interacts with your Call to Action. 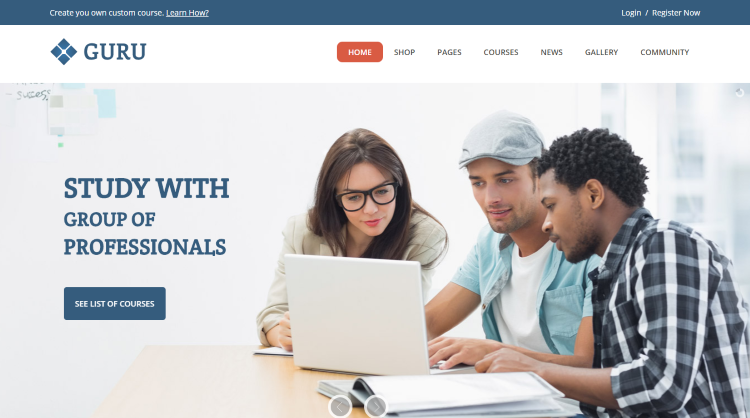 Course Builder is a fast loading and SEO optimized LMS WordPress theme. It comes bundled with the LearnPress LMS plugin which helps you to create courses for your students and that too without any coding skills. You can also customize your website as per your requirements, thanks to the advanced customization features. 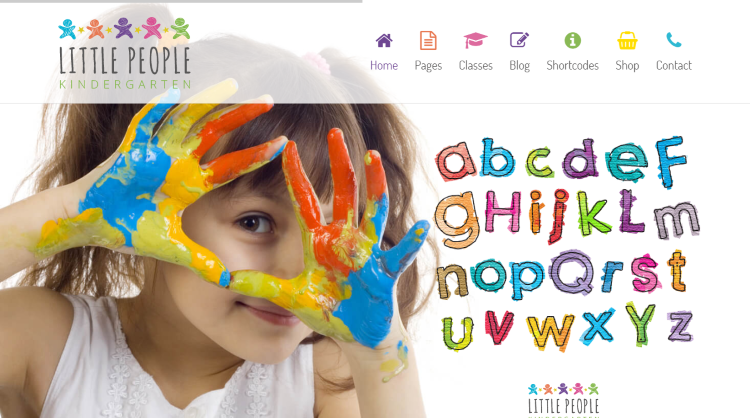 Little People is a WordPress theme that has been built keeping kindergartens, preschools, and nursery schools in mind. It is based on the Bootstrap framework and hence, it works perfectly on every device. This theme comes with the Visual Composer premium plugin. Using this drag & drop page builder, you can create stunning pages for your website without any hassle. 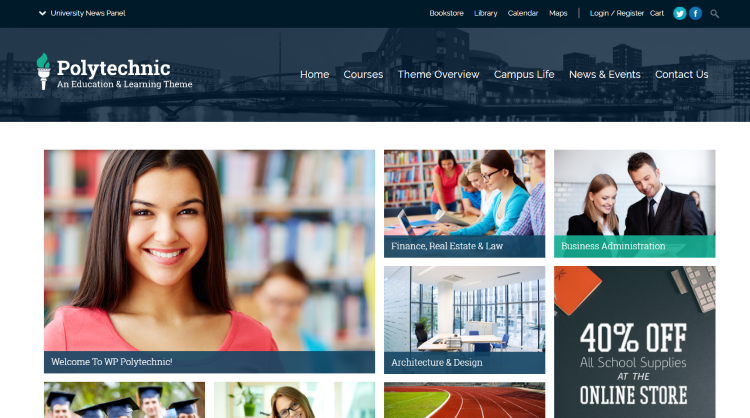 Polytechnic is a premium education and student-focused WordPress theme. You can easily create courses using this theme and assign them to any user. This theme comes with features like mega menu, sticky header, useful page templates, WooCommerce compatible, AJAX live search, multi-language support, and much more. 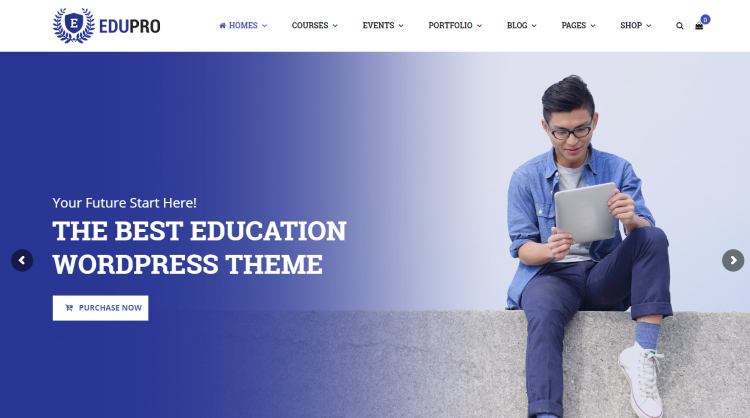 Invent is an education WordPress theme for schools, colleges, and universities. This theme provides you the option to choose between boxed and full-width layouts. Invent comes with the popular SiteOrigin page builder and 30+ page builder elements. It also comes with 60+ shortcodes including parallax sections, video backgrounds, and responsive sliders. Skilled is a WooCommerce compatible WordPress theme and can be integrated with the Sensei plugin. The Sensei plugin allows you to offer free and paid courses to your students. Also, you can add quizzes, question bank, and course analytics using the plugin. This theme also comes with features like the call to action banners, pricing box, progress bar, timetable, 6 color schemes, and course page. 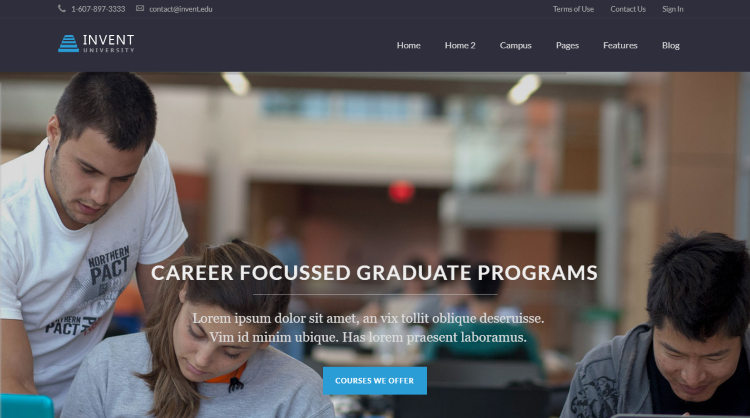 Like most of the themes in this listicle, Education Center WordPress theme is compatible with the LearnDash LMS plugin. It comes with different header styles, 10+ blog styles, shortcodes builder, and infinite color settings. It also offers pre-made pages like teachers list, personal teacher page, single course page, and courses list. Guru WordPress theme is compatible with the WPML plugin and hence, you can create your website in multiple languages. This theme comes with an awesome page builder which helps you to create stylish pages as per your wish. Also, Guru theme supports Sensei plugin and allows you can create & conduct tests easily from your website. Smarty is a theme which comes with three demos – one each for kindergarten, school, and university. These demos can be installed quickly using the one-click demo import feature and after that, you can edit and style your content. This theme offers 18 custom pages, some of which are admissions, alumni, cafeteria, programs, and summer camps. You also have the option to collect donations and create events with a countdown timer. Education Pack is an RTL ready theme and is suitable for university, language school, dance academy, driving school, design school, and eLearning sites. It comes with prebuilt demos for each of them. You can easily customize the look and feel of your website using the WP Customizer and see the changes in real time. 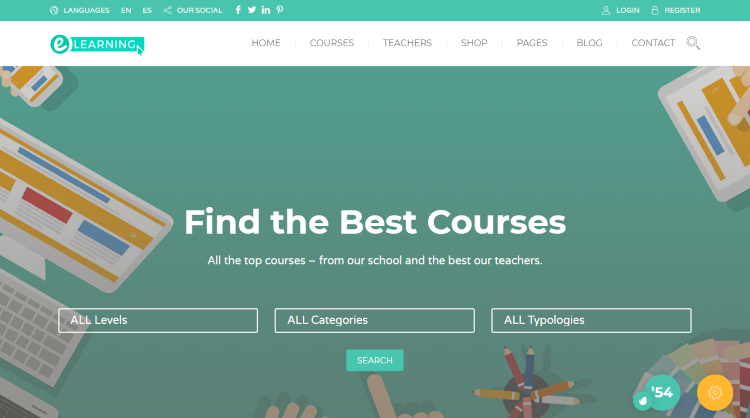 This theme provides some unique features for your students like compare courses and bookmarking. 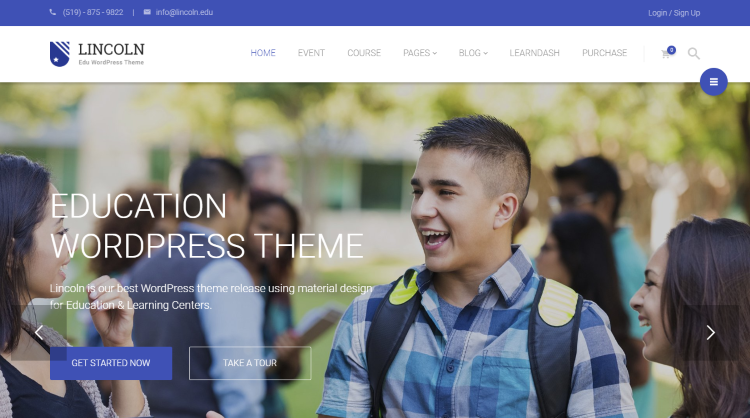 If you are looking for a material design education WordPress theme, Lincoln is the perfect fit for you. It comes with more than 8 beautifully designed homepage demos to choose from. This theme is compatible with bbPress and BuddyPress plugins. Thus, you can start a forum on your website and interact with your students to solve their problems. 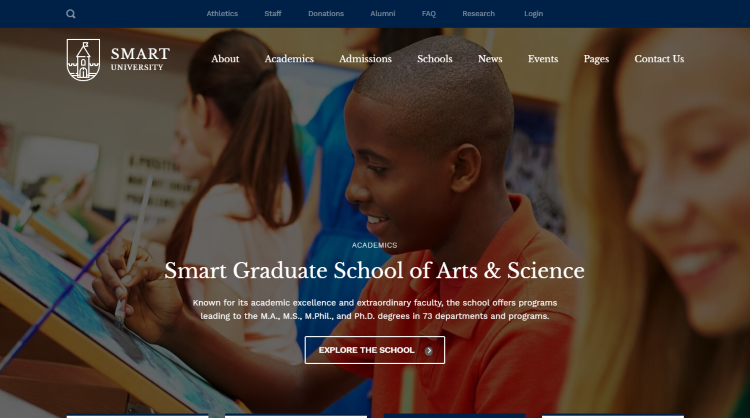 As the name suggests, Ed School is a WordPress theme for elementary and high schools. It is bundled with premium plugins like WPBakery, Revolution Slider, and Mammoth mega menu. This theme offers some amazing features like 24 niche pages, 73+ page building elements, 18 custom widgets, one-click install, and much more. EduPro comes with 10+ unique homepage demos and is compatible with the LearnDash LMS plugin. This theme comes with a powerful theme admin panel, having more than 350 options to customize your site. This responsive theme also offers 5 portfolio layouts using which you can showcase your products and services to your customers. 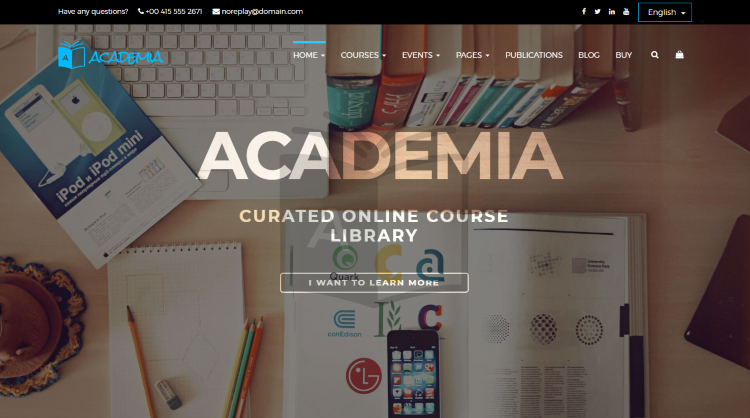 Academia is a versatile education theme and allows you to build stunning landing pages for your site. You can use the landing pages to promote your courses to your prospective students. This SEO optimized theme is WooCommerce ready and thus, you can sell your courses or ebooks directly from your website. 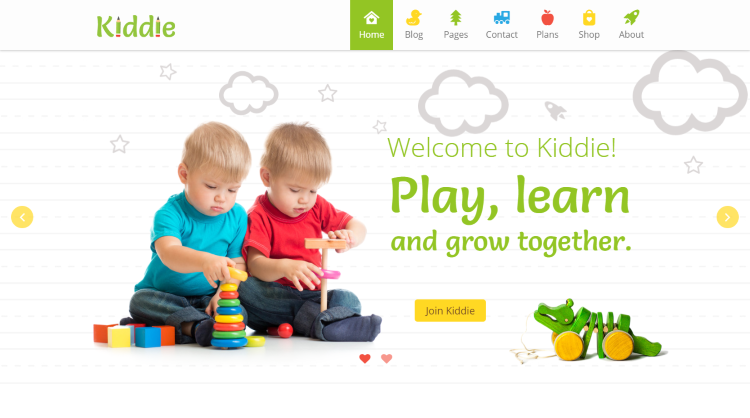 Kiddie is a clean and fully customizable WordPress theme and is perfect for kindergartens and preschools. This theme comes with the Timetable plugin using which you can create a timetable view of events like classes, lessons & meal plan, parents meeting, and excursions. This theme also comes with 20+ predesigned pages, pricing boxes, Visual Composer, premium images, and header & footer settings. 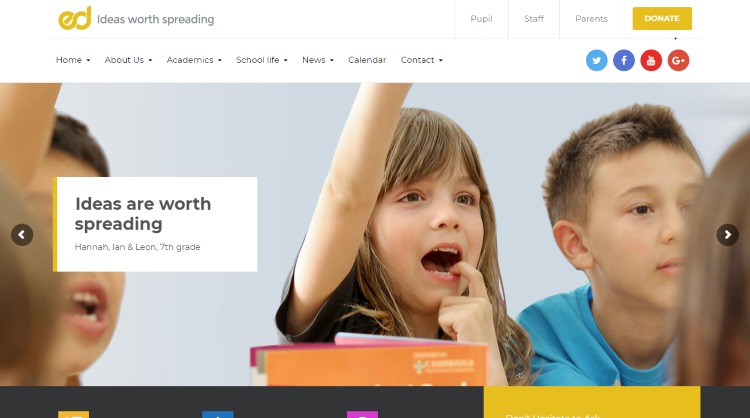 This article contains some of the best responsive education WordPress themes from Themeforest. Most of the themes in this article allow you to sell online courses, add events, accept donations, and also customize your website as per your needs. So which one of the above themes did you like the most? Let me know in the comments section. Whether you have a hair salon, beauty salon, or a massage parlor, having a website for your local business allows you to go one step ahead of your competitors. This will help you to showcase your services and offers to your prospective clients. Not only that, this will allow your existing customers to book appointments online. To start a website, you don’t have to hire a web developer. WordPress helps you to create your website without any coding skills. All you need to do is purchase a domain name and a WordPress hosting service. Then you can install a theme, edit the content, make some tweaks, and get your website LIVE. Are you planning to start your own website or blog? As you know, WordPress is the most popular and flexible CMS which allows you to start any type of website. And there are thousands of themes available for every possible niche as well. With the introduction of sites like Zomato and other Restaurant directories, people have started looking for restaurants online. This behavior of people makes it important for restaurants to have a website of their own. Having a website won’t just bring in brand value, but a good-looking website would also convert a visitor into a customer. In today’s digital world, you must have a website for any profession or business. It is a cost effective way to make people aware of your products and services. Not only businesses, even political parties should have websites to show their ideas and work to people.